The early development of the Barnett Shale natural gas play in Texas led to the founding in 2002 of the company now known as FTS International (FTSI). With the development of the Barnett Shale, the founders saw a growing need for well stimulation services. In true entrepreneurial fashion, they started the business from the ground up, used innovative technologies and vertical integration to create a thriving enterprise, then sold their shares in the company in 2011 to a consortium of investors. The company continues to grow and innovate – in the spirit of its founders. 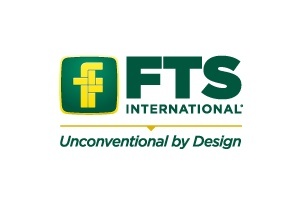 Today, FTS International is a leading provider of well completion services, including pressure pumping, wireline and pressure control, and water management. The company also has several international joint venture projects in progress. Exploration and production companies use FTSI’s services primarily to enhance their recovery rates from oil and gas wells drilled in shale and other unconventional reservoirs. FTSI continues to focus on more environmentally conscious ways to do business – developing vital assets and promoting energy independence, while protecting natural resources. Pressure Pumping – FTSI leverages the latest advances in stimulation technologies to provide customized solutions for today’s unconventional needs. FTSI custom manufactures key components used in its operations, providing flexibility and cost-effectiveness. The company also continues to develop and deploy innovative solutions, such as using dual fuel-powered equipment. Dual fuel pressure pumping units can use clean-burning natural gas to displace diesel fuel traditionally used to power the equipment. Wireline and Pressure Control – FTSI focuses on reliability, dependability and increased productivity – reducing down time at the well site. Research and Development – The mission of FTSI’s Corporate Technology Center (CTC) is to develop tomorrow’s technology to improve production results today. The CTC provides world-class technology, equipment and resources for FTSI’s elite team of experienced chemists, biologists and engineers to help solve the complex puzzles found in shale plays. The overall goal is to develop the most effective, economical and environmentally conscious solution for each well. Services include development of new fluid technologies and custom blending of fluids and products for use in well stimulation. Water Management – From on-site water purification and recycling to early detection and bacteria intervention issues, FTSI delivers innovative solutions to help customers manage water resources. Strategic Service Locations – Our District Offices and equipment maintenance facilities are located within easy reach of the most active oil and gas plays. Electronic technicians and mechanics are an integral part of the crew on every job site, to quickly handle potential problems and maintain reliability. Strategic Proppant Sources – A long-term supply agreement with Fairmount Minerals helps ensure reliable proppant resources.